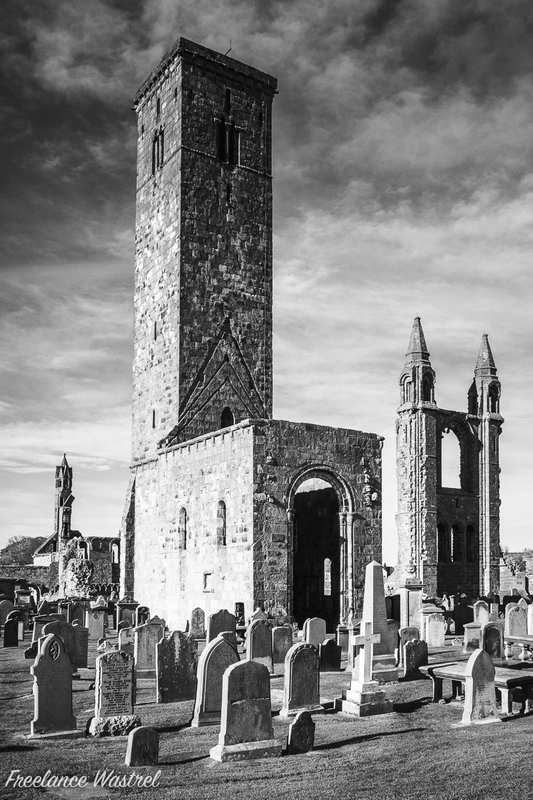 The Cathedral of St Andrew in Fife, Scotland, dates from 1158 and became the centre of the Medieval Catholic Church in Scotland as the seat of the Archdiocese of St Andrews and the Bishops and Archbishops of St Andrews. On the left are the ruins of the nave, on the right is the east tower and in the centre is the 108 feet (33 metres) high St Rule’s tower. I was pleasantly surprised to find that St Andrews isn’t just about golf (although much of the town is dedicated to the sport) and I’m definitely planning a return visit.